Over the weekend I put the final stitches in my Moving Walkways quilt and I'm so pleased with the final product. Here's a sneak peek at an upcoming reveal post. There's few things better than that moment when you realize that the days are getting longer. 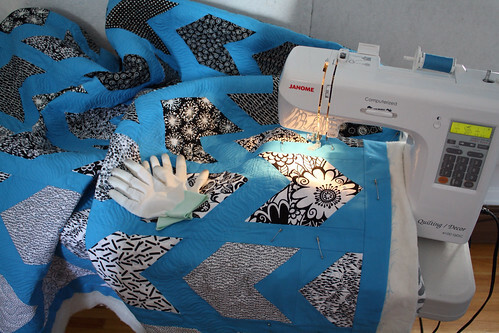 I'm loving the extra daylight hours, and my quilting is too! Looking good! And I too am enjoying noticing more daylight hours. It's past 4:30 and it's still light outside! YAY!